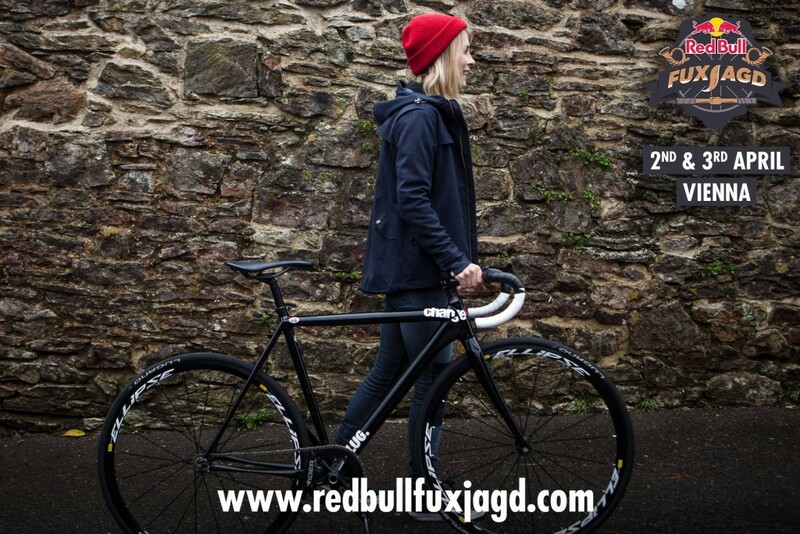 I don’t know whether you’ve read one of my previous posts on Bikes n’ Stuff or whether I’d going over old ground here, but Red Bull have kindly invited me as a special guest to their fixed gear bike race, Red Bull Fuxjagd in Vienna at the beginning of April. The first thing I asked when they invited me was whether they would have a separate women’s category, because we all know that having to race against guys is a huge deterrent to women, many of whom feel nervous about trying bike racing in the first place. I’m happy to report that the women’s race is now on! In order to promote the women’s race and help those of you who need a little help, encouragement or assistance, we’ve also planned in a Meet and Greet, Workshop and Ride on the Friday, where I’ll be on hand to answer all your questions and give you race specific advice or tips about how to set up your bike. I’ll also be talking about my own fixed gear journey and how I’ve progressed from messing about doing tricks on my bike to racing all over the world. 2. Rise to the challenge and you’ll feel really good about yourself. 3. You’ll meet other cool women to ride with. 4. You’ll inspire other women to give it a go next time. 5. You’ve got nothing to lose – spectators and competitors are very supportive and encouraging, not judgemental! 6. If you don’t enter, we might not have enough women to have our own race, so it will be cancelled and organisers won’t include women’c categories in the future. 7. You might win a nice prize. 8. Because you never know whether you’ll like it or how you’ll do unless you try. Convinced?To sign up to Red Bull Fuxjagd, click here.